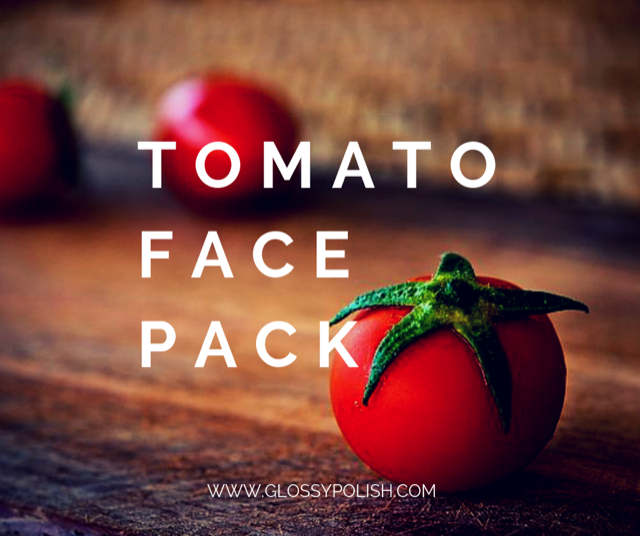 TOMATO FACE PACK: tomatoes are rich in antioxidants. Benefits of tomato for skin complexion are well known. It not only helps in providing brighter skin complexion but also make your skin tighter and prettier. The juice of tomato contains a high percentage of nutrients that are beneficial for the skin. They include vitamin A, vitamin C, lycopene and proteins. The benefits of tomato juice for the skin include increasing fairness, balancing pH, tightening pores, treating sunburn, reducing irritation and curing acne. Take a bowl to add curd to it. Now add honey and tomato juice to it and mix well. Apply evenly all over the face avoiding the eye area. Apply it on the neck as well. Let it sit for about 15-20 minutes. Wash it off with lukewarm water and pat dry. Repeat this process thrice a week for better results. Take a bowl to add the finely powdered rice flour to it. Add tomato juice, rose water and honey to the bowl. Mix it well till you get a smooth paste. Apply this paste evenly all over your face avoiding the eye area and spread on the neck area as well. Let it sit for about 15 minutes or till it gets dry. Wash it off with lukewarm water and pat dry. Repeat the procedure twice a week to get fair and glowing skin. Take a bowl to add tomato juice, cucumber juice and lemon juice to it mix well. Take a clean cotton pad. Dip the cotton pad to the mix properly. Apply the mixture evenly to your face and neck. Let it sit for about 15 minutes. Wash off your face with lukewarm water and pat dry. Repeat this procedure thrice a week to get better results. Sandalwood Oil DIY Serum for Brighter Skin!